With the Sectional Titles Schemes Management Act (STSMA) 8 of 2011 and the Community Schemes Ombud Service Act (CSOSA) 9 of 2011 being published in the government gazette on 7 October 2016, new legislative requirements have been placed on communal scheme home owners and other role players in the profession. While the STSMA applies to sectional title schemes only, the CSOSA applies to all communal schemes (including share block, home owner associations, life right schemes, housing co-operatives and so on). 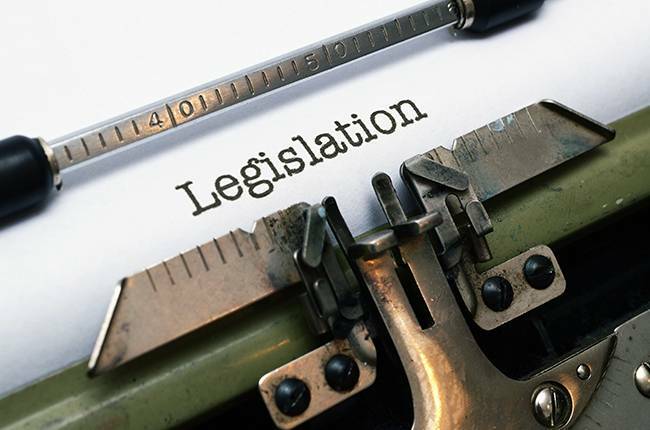 There will be much debate on the interpretation of certain new legislative requirements and, until precedents have been created, it will be difficult to determine how all these changes will affect the various schemes. In the interim it is best to keep yourself informed of developments and to query any matters you have with your sectional title specialist, such as your managing agent or attorney. Over the next couple of blogs, we are going to look at the types of member resolutions that the legislation refers to. Resolution types include ordinary, special and unanimous resolutions. In addition, some matters require the written consent of all members and or real right holders and bondholders. While we will be focusing on resolutions, we will touch on other important administrative changes where these relate to matters brought up by the above resolution types. We will firstly begin with the definition of the various resolutions and how these may have changed, then provide examples of when the different resolution types would be required, and lastly define the processes involved to obtain these types of resolutions. Previously, to pass an ordinary resolution in a general meeting usually required the matter to be proposed, seconded and agreed to by the majority of members represented. In terms of the new legislation, a motion no longer needs to be seconded, but must be passed by the majority of the votes calculated in value of the members present and voting. This means that all matters must be discussed and does not therefore require another member to agree in advance to the motion. That all ordinary resolutions must be calculated in value is a new requirement and will no doubt require some arithmetic skills to be exercised at meetings. The chairperson is required to announce the voting outcomes, detailing the number of votes cast for and against each motion, which must also be recorded in the minutes. Anyone who has been in persistent breach of any of the conduct rules, or in arrears, and a court or adjudicator has given a judgment or order confirming this breach or arrear amount owing, may not participate in the voting process, unless a special or unanimous resolution is being tabled. The chairperson may not disclose their vote in advance and may not influence members’ views on any item of business. (b) agreed to in writing by members of a body corporate holding at least 75%, calculated both in value and in number, of all the votes. (b) within 7 days from a resolution referred to in sub-rule 9(a), members holding at least 25% of the total votes of all members in value may, by written and signed request delivered to the body corporate, require that the body corporate hold a special general meeting to reconsider the resolution. (b) a quorum is not present within 30 minutes of the time set for the meeting. This additional requirement enabling any member to stop a resolution where it is passed at a general meeting by less than 50% of the members, will lengthen the implementation of special resolutions unless the trustees deem urgent action is necessary to prevent significant loss or damage. 1) STSMA 2(7)(e) suing the developer in terms of any claim. 6) STSMA 5(1)(f) bodies corporate power to enter into notarial deed of cancellation of an exclusive use area in terms of section 27(g) of the Sectional Titles Act 95 of 1986 (as amended). 7) STSMA 5(1)(g) xecute servitudes or restrictive agreements burdening or benefiting the land. 8) STSMA 5(1)(h) extend a section. 9) STSMA 10(2)(b) conduct rules may be substituted, added, amended or repealed by special resolution; provided that these rules may not be irreconcilable with any PMR. 10) PMR 8 to reward for their services, whether monetary or otherwise, trustees who are members. 11) PMR 15(4) to hold a meeting outside the local municipal area where the scheme is situated.